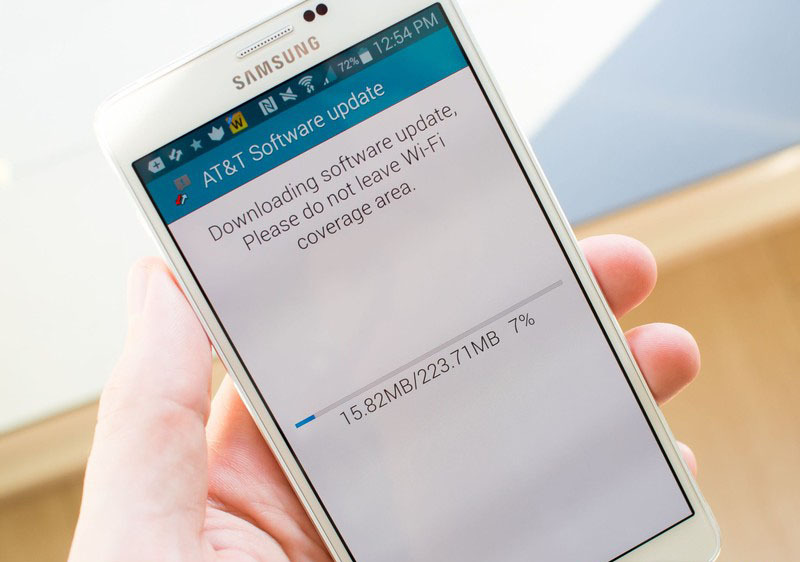 AT&T has just started rolling-out the official Android 5.0.1 Lollipop update to its Samsung Galaxy Note 4 (SM-N910A) in the U.S. today.The update comes in at around 1.2GB, so it may take a while to fully download. That's also why you can only grab it via Wi-Fi. Beside from the new Android version, and all the features that Lollipop brings with it, the new software features some stability improvements, and two service additions, which are "Find My Mobile" and "Reactivation lock". Otherwise, we're looking at the same Samsung TouchWiz-infused Lollipop interface that we've seen in the company's other updates recently. After applying the update, you'll be on Android 5.0.1 and build number LRX22C.N910AUCU1COC2.